The Waste Management, namely the drive, transport, treatment or disposal, managing and monitoring of waste materials, sorting or door to door, is one of the markets in which Generale Sistemi is more rooted. These activities are increasingly automated and directed towards the creation of Waste Traceability Systems and control of all related operations. RFID technology allows, for example, to speed up all operations of Vehicle Control: thanks to a RFID tag implanted on the vehicle, it is possible to identify it from a distance, recording all the operations performed by the vehicle and its data (schedules, entrance and exit, user identification, liters of fuel supplied, weight of collected waste, etc…). Also mentioning the pilot's control, storage of amount given, dumpster identification, approval of the operator, identification of special or hazardous waste, recycling and disposing logistics activities, etc... These and other activities are managed both for automated and door to door waste drive. Furthermore, thanks to the wide range of Generale Sistemi's tags, it is possible to identify automatically the emptied bins' owner and then apply a diversified Waste and Services Duty System (Tares, Tia, etc…) *. The advantages of RFID solutions in Waste Management are also substantially evident on environmental plan, with an amount reduction of mixed waste given and the consequent improvement of the quality of disposed recyclable products. 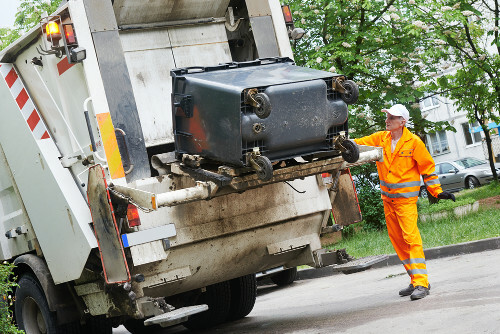 This comes to a precise and accurate control of all the typical activities of Municipal Solid Waste sector - MSW, but also time and money saving, thanks to the speeding up of bureaucratic management of data. The Generale Sistemi's commitment over the entire MSW chain is shown from the large customer pool widespread over the entire operating cycle: from the largest Italian producers of dumpsters and recycle collection points to some of the most modern companies of public hygiene services, urban and environmental.